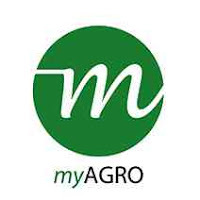 from myAgro’s founder and CEO here. closely with teams across the organisation. In coordination with the Shared Service Programme Manager, maintain a system of management and control of project purchase or acquire inventory tracker. Search and expand suppliers in order to be able to purchase goods that are of high quality but at a price. Supervise and speed up the delivery schedule of the supplier to the office or to relevant units. Oversee travel schedule and verify to the authorization required for travel process. Assist in processing VISA and obtain VISAS from foreign embassies and processing work permit for expats staffs. Bachelor degree in Procurement &amp; Material Management or related discipline. Ability to operate in cross-cultural environment requiring flexibility. candidates will be contacted for further recruitment.